Now is a time for the seasons to dance. Is the ice encroaching or melting back? 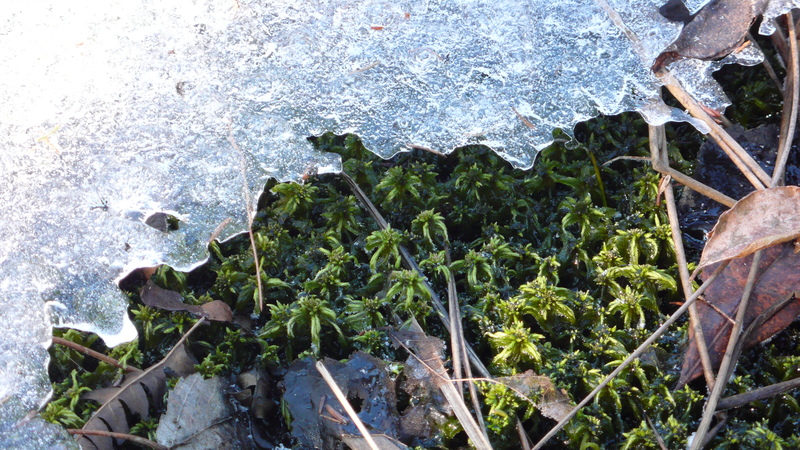 Is the moss pushing forward or about to be held in icy repose? in a timeless procession of grace and beauty.